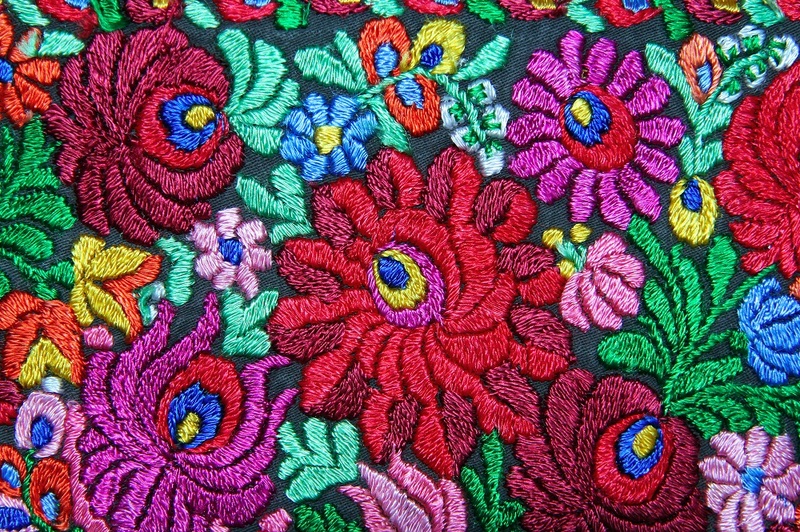 Embroidery has been around for as long as humans have been in existence. There have even been fossilized remains of hand-stitched clothing, boots, and hats in Siberia. Shell embroidery dates back to 6,000 BC while Chinese thread embroidery dates to 3,500 BC. With elaborate embroidery machine designs and other automation, embroidery has come a long way. Here is a brief timeline of the evolution of automated embroidery. While hand-crafted embroidery played a major role in the decorations of clothing, religious objects, and household items throughout the world, the first automation of embroidery came about during the 19th century. It marked the first time mass production could be used to make elaborate clothing. A single machine, it is reported, could do the work of four hand stitch embroiderers, and the output was much more uniform. The next hallmark moment in automated embroidery happened in the 1880s, when printed color patterns were introduced. Automation also made bead embroidery popular as it was much quicker to use a machine to do it than to laboriously stitch each bead by hand. The production output of the embroidery machine was further enhanced with the invention of the first multi-head embroidery machine. This allowed a single station to produce multiple pieces of work at once. By the 1980s, computers had taken over much of the automation process, and embroidery production evolved once again. The number of units that could be produced increased and the potential complexity of embroidered designs broadened. Computerization led to the introduction of the first graphic design system that was managed by a microcomputer and allowed for printable machine embroidery designs. This development was introduced by the companies Wilcom and Melco, with Wilco introducing the first graphic design system and Melco creating the first embroidery sample head and digitized system. Both of these creations made embroidery popular on a factory basis and for personal use at home. During this time, designers trying to figure out where to buy embroidery patterns had an easier time, as the production of affordable, pre-manufactured designs were made possible. New technology has once again reengineered embroidery. Machines made now are faster, more accurate, and include more needles per head, greater flexibility with attachments, and laser-guided stitching and cutting. All of this has also been enhanced by production management software, making the manufacturing process even more efficient. Most of the developments in embroidery technology over the past 30 years have focused on precision, quality, speed, and cost reduction. That trend continues. 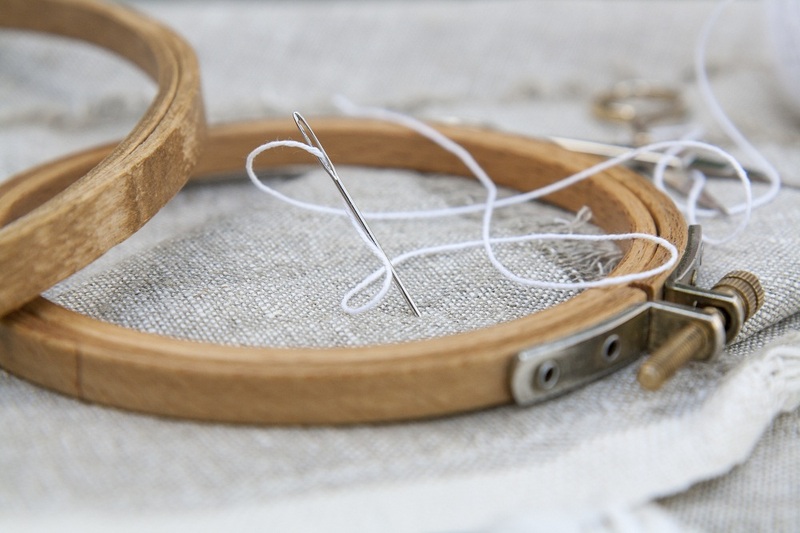 New innovations like the introduction of embroidery heads that can all run independently of each other as well as have bobbins changed independently are just one example. Greater thread control is another quality enhancement, and automatic tension management ensures uniformity of patterns. Embroidery has come a long way since the days of stitching shells to animal hides. Every few years, it seems, new technology changes the very way things are done. That trend shows no sign of stopping. To shop for the best embroidered designs you can find, visit Oregon Patchworks online today! For veterans and newcomers alike, the incredible array of embroidery designs can sometimes seem a bit overwhelming. Seasonal inspirations and themes make it easy to narrow down your choices while still providing a seemingly endless variety of options. Innovative ideas and captivating designs make for both fantastic challenges and fun experiments. Read on for a few innovative embroidery designs to try out this spring. It’s no secret that it’s easy to get inspiration from nature, but you might be amazed by how much you can borrow from your vegetable garden. Designs incorporating vegetables are great for pros and beginners alike since there’s such an assortment of designs when using veggies are your blueprint. Some are more complex and intricate, while others are a bit simpler and less complicated. If you want embroidery design ideas that are well-suited to the season and give you plenty of options to use, vegetables are absolutely magnificent. You might have overlooked moss in the past, but it’s worth giving it some consideration. Moss gives you a way to use earthy tones and play with texture as well as color. It’s a unique idea and might get you some curious looks. But the majestic beauty of moss is very soothing. It’s a great idea for crafting as a gift, especially if you know a nature lover. Although it’s definitely uncommon, moss is something you should keep in mind as an embroidery possibility. You may be surprised by how captivating it can be. Do you love quirky and fun ideas that are a bit off the beaten path? Consider applying your finished machine embroidery works to a tennis racket or other unusual implements. It may seem a bit odd, but embroidery works surprisingly well with a variety of outside of the box items. The next time you’re at a flea market, yard sale, or thrift store, look for items you may be able to mount or sew your finished embroidery works into. It’s a fun way to get out of your comfort zone, and you might be quite happy with creating such a unique piece. Wearable embroidery comes and goes out of style all the time. Some people are a bit more daring when it comes to their fashion sensibilities, and others prefer to play it safe. If you want to try something besides bedazzling, embroidery could be a great option. You can customize your clothes and practice your skills at the same time. Since embroidery is transferable, you always have the ability to try different designs with different articles of clothing. It’s a wonderful way to get a lot mileage out of both your wardrobe and your embroidery. Are you a painter? Would you like a way to incorporate both watercolors and embroidery? It’s actually fairly simple. First, you give your canvas a touch of zest and character with watercolors. It might be wise to plan out your color scheme in advance, or you could simply wing it and see what happens. Either way, you apply your embroidery next. The result is a bright, seasonal creation that displays a beautiful combination of paint and fabric. Spring is the perfect season to jump back into embroidery. Every embroidery design is a chance to try something new and discover what you can create. Contact the passionate professionals at OregonPatchWorks if you want to learn more. Do you love to create designs with machine embroidery, but have difficulty finding a good selection of designs? At Oregon Patchworks, we understand that everyone has different styles and that you may need to find patterns or designs for a specific gift, season, or décor. We also understand that what you’re looking for today may be very different than the design you will be looking for tomorrow. It is important to us that no matter what kind of digital embroidery designs you are looking for, you can find a variety of options to fit your needs. 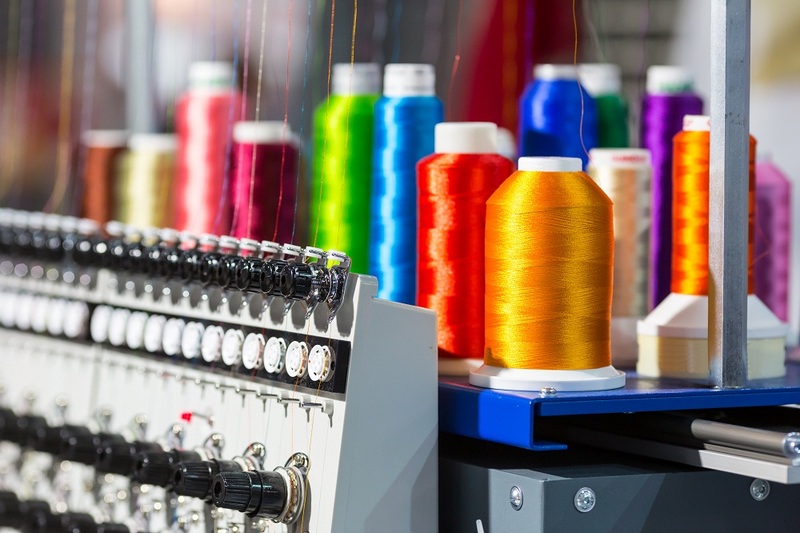 If you’re trying to find the right place to get your designs, keep reading to learn how to find an embroidery design provider that meets your needs. Will the Design Work with Your Machine? This is the first question you need answered because you don’t want to make a purchase you can’t use. Machine types vary, and embroidery designers aren’t able to support every type of software on the market. When you find an embroidery design you like, check the specifications to make sure it matches your machine’s requirements. To figure out what formats your machine accepts, refer to your owner’s manual. Depending on what you need the design for, you might need customized sizing. If this is the case, find designers that offer this service or designers who offer a wide range of sizes. Most embroidery designers recommend that you don’t increase the size of the original design more than 20%. Doing so affects the quality of the design, and you may not be happy with the product. Before you buy, figure out how big you need the design to be, and purchase according to these specifications. When you buy embroidery designs online, pay close attention to the ratings. Like any other business, embroidery businesses are rated by their customers. Choosing the best companies with great ratings often means you can expect quality designs, great customer service, and fast shipping. No matter how many times you’ve bought digital designs, you still might have a question or two. That’s why it’s important to work with a design provider who values customer service as much as you do. A provider who has a troubleshooting page on their website is a good start, but you also want to be able to pick up the phone and speak with a person should you need personal assistance. Before placing an order with a new provider, make sure they have a contact number. When searching for a design provider, look for one whose thread recommendations work with your machine and your preferences. Embroiders like particular threads for their durability and workability. 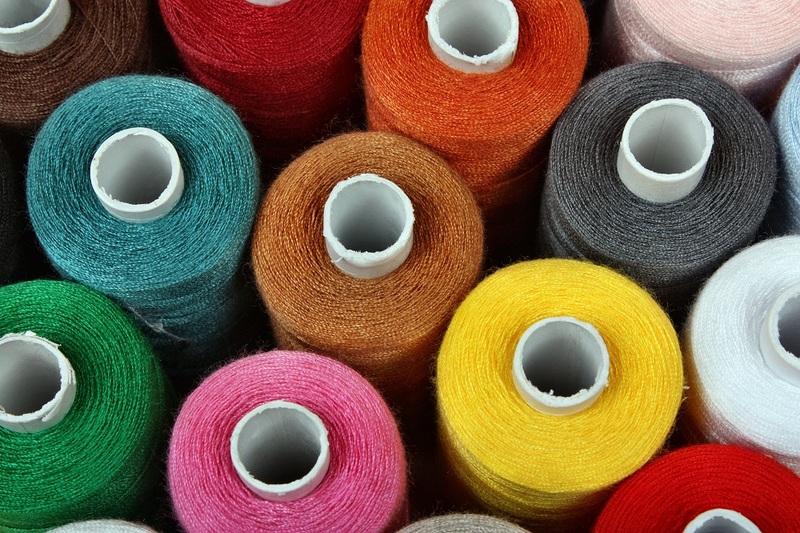 If your machine works better with certain threads, make sure that the thread recommendations the provider mentions match up with your machine. This will save you a lot of headaches and frustration and help you achieve a beautiful finish. Where Can I Buy Embroidery Designs? Embroidery is a wonderful way to create beautiful customized apparel that doesn’t snag or fade after washing. The finished product is a clean look that gives your logo a 3-D feel. It’s the perfect option for small projects and large projects for professional organization. When you’re ready to buy digital embroidery designs, contact OregonPatchWorks to view an extensive collection of embroidery designs in all shapes, sizes, and colors. 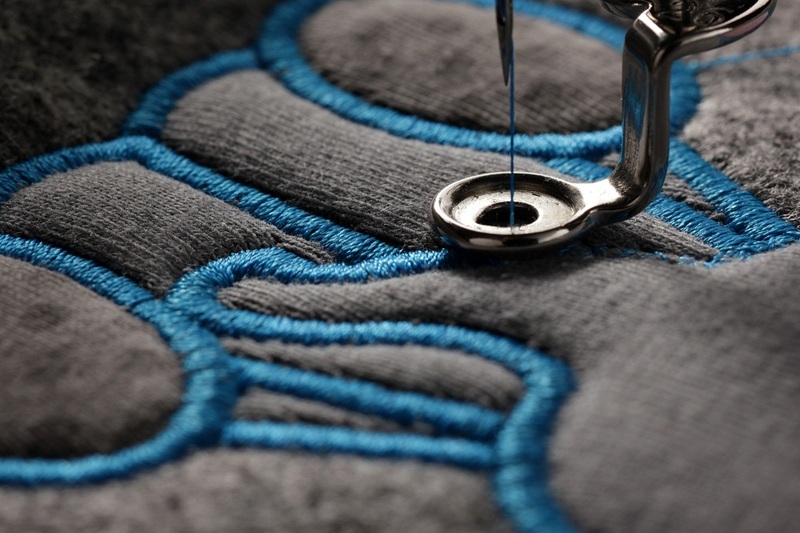 You’re sure to find the perfect design for your custom embroidery project. The first machine-made embroideries came from 19th century Switzerland. Modern technology has made it possible for almost anyone to be able to make beautiful designs on fabric. Have you ever seen a gorgeous embroidery design on an item of clothing or other object and thought, “I wish I could do that.” Well now you can. In today’s world nothing is out of reach. Once you invest in a quality embroidery machine, a few basic supplies, and find a good supplier of digital embroidery designs you are on your way. Finding a plethora of quality-machine embroidery design is the easy part, but beware, because once you get started you won’t want to stop. If there is a Winter baby shower in the near future, you can embroider cute burp towels with snowmen. Other cute Winter themes for baby blankets or hooded bath towels are snowy trees with squirrels in red Santa hats with acorns or young deer with snow on their coats eating apples. Make a mobile with embroidered angels and other young animals to hang over the baby’s crib. There are many other sweet Winter scenes available for you to embroider on a onesie or other outfit. Winter scenes embroidered on throw pillows are always a big hit. Another idea is to embroider Winter designs on a round piece of fabric and hang it on the wall with a ribbon right on the metal hoop. For your bedroom, embroider the edges of plain pillow cases with Winter scenes, holly, or snowflake designs. Your guests will love your embroidered table runner in the dining room, or embroidered hand towels in the powder room. Try a cute saying on a cloth purse or shopping bag such as “Let it Snow” or “Baby It’s Cold Outside.” Embroider bookmarks, bags, granny quilt squares, aprons, and placemats with fancy digital embroidery designs. An open-front jacket would look sharp with machine embroidered lapels, or embroidery down the entire length of the front. Let your creativity run wild through machine embroidery. Once you get started, you’ll find the sky’s the limit. There are hundreds of categories to choose from when searching for that perfect embroidery design. Winter scenes with Christmas trees, scenic landscapes, reindeer and other animals, snowmen, ice skaters, and many more cute ideas are out there. How about cross-country skiing, snowboarding, or alpine skiing embroidered onto a hat, neck warmer, or scarf. Don’t forget about romantic or funny Winter holiday designs around New Year’s or Valentine’s Day. Thanksgiving might be over this season, but it will be back next year, and you have all Winter to embroider some yummy cookie recipes onto kitchen towels for gift giving. The OPW Mall has almost any design you can think of. If you have a design idea of your own, you can have it digitized too as a custom design order. There are many services that have embroidery designs for sale, but make sure the service offers you a wide collection of high quality designs at competitive prices. The customer service should be welcoming and as helpful as possible, whether you’re a first-time customer, or they know you by name. You can find fantastic embroidery designs online. There are literally thousands of digitized embroidery files for sale online. The embroidery design service should offer seasonal sales and some discounted prices. 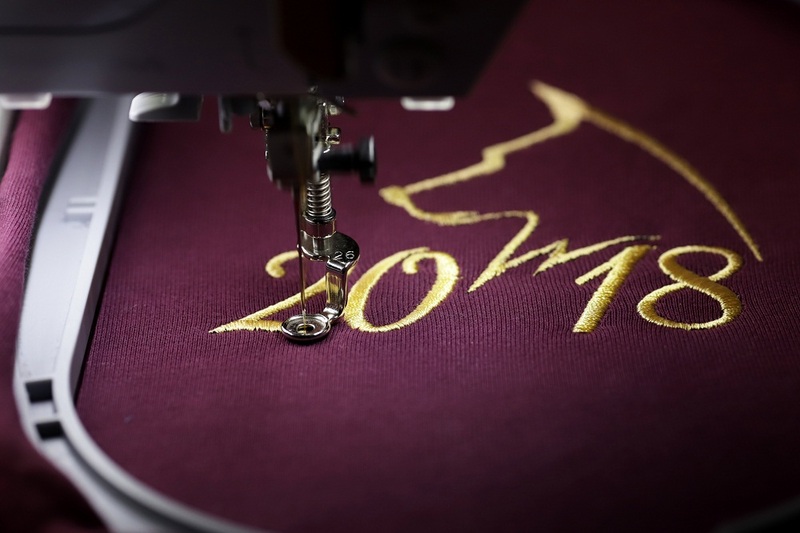 Almost everyone has the opportunity and the aptitude to learn to embroider by machine, so get started this Winter and embroider something memorable for yourself, your friends and family this year. You have available a complete one-stop shopping store online for all your embroidery needs, so get busy and create your own unforgettable art. Visit OregonPatchWorks today. Brighten your holiday season with whimsical embroidery inspirations. The ways you can displaymachine embroidery designs are countless. Go with a consistent theme like the Santa Claus tradition, a floral theme, or a more traditional design grounded in the birth of Jesus. Choose a theme and find embroidery designs online to suit your taste. Supplement your yearly Christmas decorations with embroidered creations. Place an embroidered Christmas skirt over the base of your Christmas tree. Try a design with different colored wrapped presents, a jack-in-the-box, elves, or a Santa Claus. Place a pattern on stockings hanging from a mantle or around a fireplace. You can place a name, initials, or a relationship—mom or dad—on the stocking. You can have a bone embroidered on a stocking for your family pet. Hang embroidered patterns throughout your home. A scene of Santa Claus and his reindeer or dancing snowmen bring a little humor to your living area décor. Strike a more serious note with a pattern of the nativity scene. Bring a little Christmas to your chairs and sofa by adding embroidered coverings to your cushions. Patterns of holly, poinsettias, or bells can be used for the Christmas season. You can add levity with an embroidered Grinch or Scrooge on a cushion. 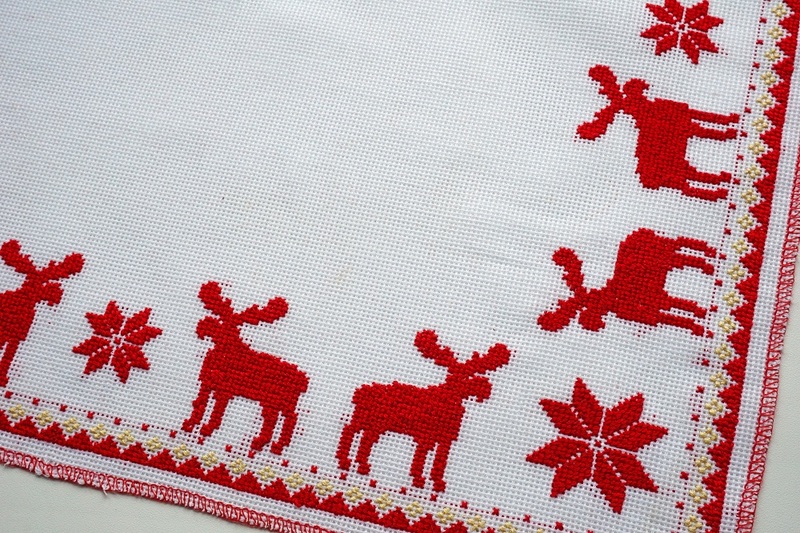 Use embroidered patterns to brighten your table for your Christmas dinner or Christmas parties. Many patterns can be used to make a beautiful tablecloth. A white Christmas tablecloth with red bells, green holly, or blue snowflakes will add a flair to your table. Use a similar pattern with your place mats and table runner. If you have a buffet-style dinner or a counter for desserts, add a covering with embroidered cookies or gingerbread. Your Christmas napkins can have an embroidered figure like a bell, snowflake, candle, or star, or you can have your family name embroidered in red or green. Your holiday decorations can extend to bedrooms. Add an embroidered pattern to sheets, pillowcases, or bedding. You can have embroidered patterns for your towels in your bathrooms. You can add a whimsical design to your toilet seat cover. You can add embroidery to your holiday clothing. 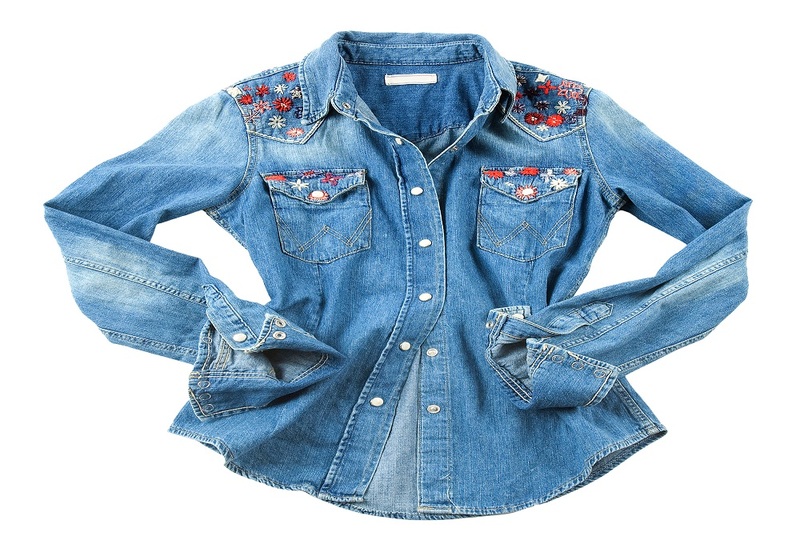 You can place a pattern on your blouse or sweatshirt that makes a statement about you. You can go with a floral pattern with a poinsettia or holly. You can pick a pattern of Santa Claus, an elf, or the Grinch. You can have words, like peace, joy, or love, embroidered to invoke the spirit of Christmas. You can add an embroidered pattern, like a green Christmas tree or a red bell, to a white scarf. You can have your robes embroidered with a small Christmas tree or a bell. Embroidered patterns can be hung throughout your home. You can have patterns hung with inspirational words. You can go with funny quotes or sayings that have special meaning to you and your family. Think of how many patterns you can have of a Christmas tree—a tree in a pot, a decorated tree, a plain green tree, or a tree of multiple colors. You can have an embroidered pattern of an animal—a cat, a mouse, or a dog dressed as Santa Claus—framed to get a laugh. Framed embroidered patterns can become a Christmas tradition you can pass down to younger generations. Embroidered items also make great Christmas gifts. OregonPatchWorks offers high-quality embroidery designs. Call now to get a pattern to add a little spirit to your holiday. Modern-day embroidery machines allow us to stitch beautiful, intricate patterns onto fabric without too much manual labor required. Home sewing machines today make stitching quilts, leather, lace and more a breeze. Browsing embroidery patterns for sale online makes it even easier to find a beautifully embroidered item that is created with the utmost care. While it’s difficult to imagine in this day and age, it’s important to look back at the history of embroidery machines in order to understand how we got here. From large changes in the size of sewing machines to the way they operate, machine embroidery has come a long way since it’s conception in 1846. Regarded as an incredible invention for its time, Josue Heilmann’s hand embroidery machine could do the work of four people embroidering by hand. While much more efficient, this prototype still required a great amount of focus and attention to detail from the person stitching. The machine allowed for stitching in any direction and was designed to have the fabric meet the needle, as opposed to vice versa. The Schiffli Machine was the first automatic machine and was largely responsible for the emergence of the home sewing machine we know today. As technology continued to develop throughout the 20th century and into the 21st century, so too did embroidery machines. The biggest advancement was made in 1911 when Singer Sewer Company released a 6-headed sewing machine that was electric, making it much easier to sew thread and yarn onto all sorts of items. With the advent of the internet came embroidery digitizing, which was a way of computerizing embroidery designs to ensure perfect precision. Now, in 2019, you can find online machine embroidery patterns of all shapes and sizes that can be stitched onto almost anything, including baseball caps, jackets and pants. With so many high-quality sewing machines on the market today, it can be hard to determine which machine is best for you. 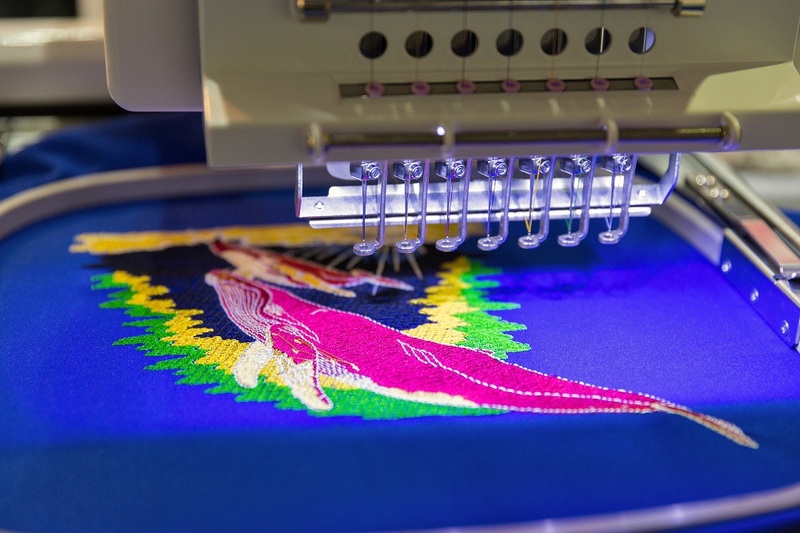 Whether you plan on using your embroidery machine for commercial or leisurely purposes, you’ll want to purchase a machine that is up to each and every task. You can opt for a machine that has built-in designs along with the ability to edit images before having them stitched on to a material. Looking for something simpler? Brother has a line of embroidery machines that are easy to use and are intended for beginners. 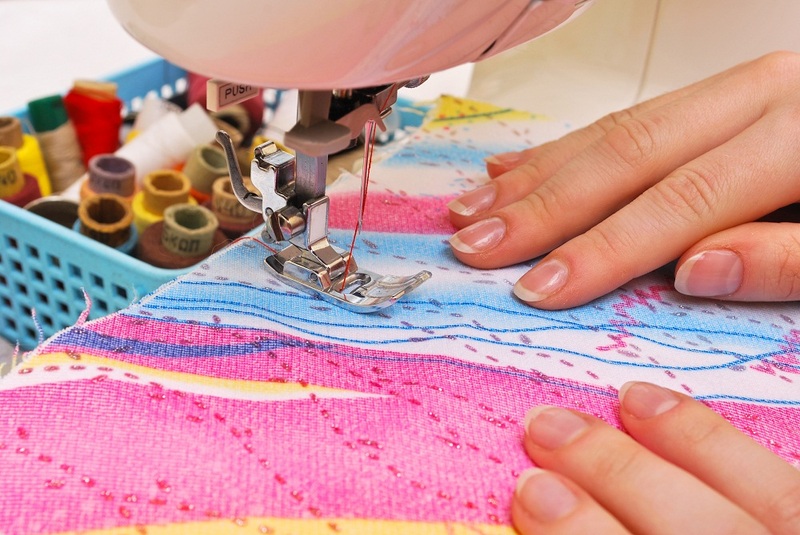 Do your research on the varying types of sewing machines out there in order to determine which unit is best for you! 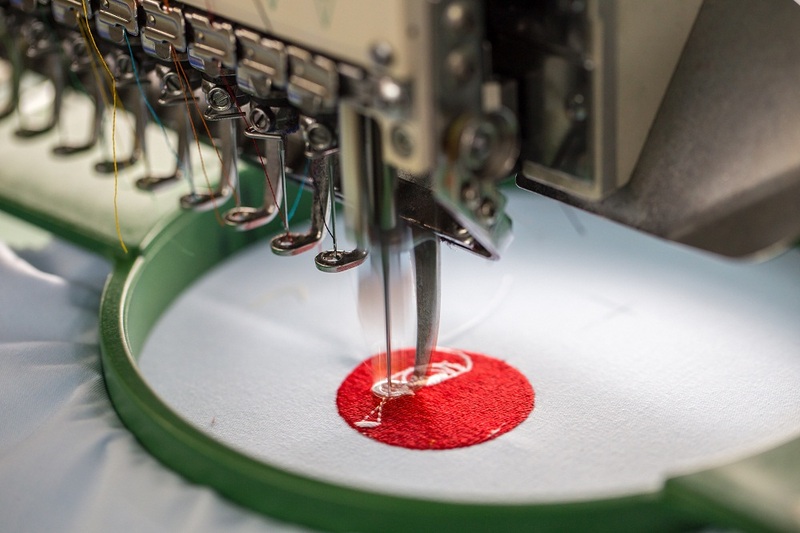 What Makes OregonPatchWorks Stand Out From Other Machine Embroidery Services? Are you an embroidery enthusiast who is in search of a machine embroidery service that offers the very best selection of quality designs? Make OregonPatchWorks your first choice, as there is no other machine embroidery service that has such an extensive selection of designs, all digitized to perfection. Over the past 17 years, OregonPatchWorks has emerged as the most reputed machine embroidery digitizing services available. Let’s quickly have a look at a few of the reasons that make OregonPatchWorks stand out from all the other machine embroidery services. Time and again, OregonPatch Works offers great discounts on their designs. Many of the designers at OPW run special offers on their unique line of embroidery designs on a regular basis. Currently, OPW is running the “Summer Sizzle Sale”, offering great discounts on thousands of designs. Based on your individual interests and choices, you can pick up quality designs and save money also. The OPW Mall’s embroidery design gallery has almost any type of embroidery design that you can think of. Exceptional Services To All Customers, All The Time! At OPW, every customer is treated equally. It doesn’t matter whether you a return customer or shopping for the first time. The staff at OPW will not leave any stone unturned if you run into an issue or have questions. They will assist you in a couteous, friendly manner and provide you with an answer to all your queries. As a customer, you are welcome to contact the OPW staff as often as you need to. Customer satisfaction has and will always remain the top priority for the staff at OPW. Need to try a few samples before you start shopping? OPW offers free samples for trial purposes. There is a whole page available to everyone. And when you subscribe to the newsletter, you gain access to the Members Only area that has hundreds of exclusive free designs, not offered anywhere else.You will also receive announcements about the latest designs, deals and discounts that are on offer each week. The machine embroidery designs offered by OPW enable embroidery enthusiasts to create their own unique and visually appealing projects. Use your imagination to create one-of-kind masterpieces with the wide range of machine embroidery designs available .There are endless ideas like placements, fabric, mug rugs, table runners, cushions, napkin monograms and many more where an embroiderer can explore and express their own creativity. All these designs are available for immediate download and at very competitive prices. OregonPatchWorks is a one-stop shop that offers a diverse range of high-quality embroidery designs. The nearly 100 outstanding digitizers housed by OPW are always committed to offer amazing embroidery designs that are hard to find anywhere else. All the OPW customers enjoy the very best experience when shopping for designs and always get their money’s worth. So, what are you still waiting for? All you need to do is visit today, start browsing and select the embroidery design of your choice to get started. As an OPW customer, you will never be disappointed. OregonPatchWorks is a force to reckon with in the field of machine embroidery. The embroidery designs offered at the OPW Mall are unique as well as trendy. With nearly 100 outstanding digitizers showcasing distinct and beautiful styles, the selection is perfect for all embroidery enthusiasts out there. OregonPatchWorks offers a brilliant array of top-notch machine embroidery designs which have become the prime choice of embroiderers worldwide. All the designs have been digitized to perfection and are quite distinct in their own way. A few of the styles available at the OPW Mall’s embroidery design gallery include Fill Stitch, Free Standing Lace, Appliqué, Cutwork, Redwork, Cross Stitch, Photostitch and many more popular techniques. The gallery gets regularly updated with some of the trendiest embroidery designs available. Due to which, embroiders always have their eye on the OPW Mall’s embroidery design gallery through the newsletters, which also insure you get access to exclusive free designs, added weekly and popular promotions! The knowledgeable and friendly staff at OregonPatchWorks is dedicated to serving customers in the best possible manner. The staff believes in keeping customer satisfaction as the top most priority and doesn’t compromise on it. You can email or call whenever you have an inquery. You will assisted quickly and courteously. OPW’s shopping center is quite convenient as you will be able to combine all your desired choices from multiple designers in one easy checkout experience. You will be offered an immediate electronic delivery to ensure you are able to start making your projects quickly. Also, you will be able to order backup CDs or zip drives, with up to 15 collections included on each, if you wish. One aspect where OregonPatchWorks stands apart from the other machine embroidery services is the affordable prices and special offers the designs are offered at the mall on a regular basis. OPW values the time and money of each and every customer. The affordable prices don’t mean that any sort of compromise is made with regard to the quality of the embroidery designs. The creative digitizers at OPW add the latest high quality embroidery designs on a regular basis which ensures that as a customer you are always offered the best values out there. All the points which are highlighted above should be enough to persuade an embroidery enthusiast to pick OregonPatchWorks over all the other embroidery digitizing services. This is the reason why OPW has been consistently considered a trustworthy brand throughout the years on the internet. The vase majority of the customers who have been served at the OPW Mall are completely satisfied with its service. What are you still waiting for? Shop now for your designs and begin personalizing your projects. There are many irresistible embroidery deals and discounts that you would not want to miss. So hurry up, time to have some fun!